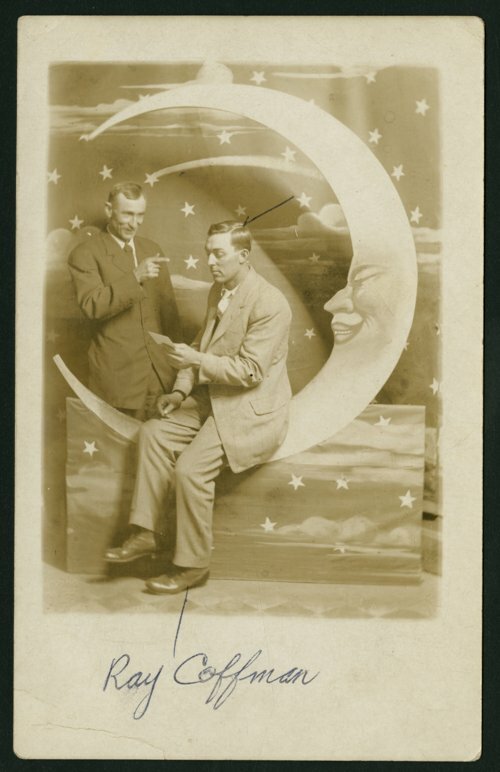 This is a postcard showing Ray Coffman seated on a man in the moon photography prop. The other man is unidentified. Coffman lived and worked in Cloud County, Kansas.